Home Newsroom GrabOn #Fab5: Celebrating 5 Years Of Helping India Save BIG!  GrabOn #Fab5: Celebrating 5 Years Of Helping India Save BIG! 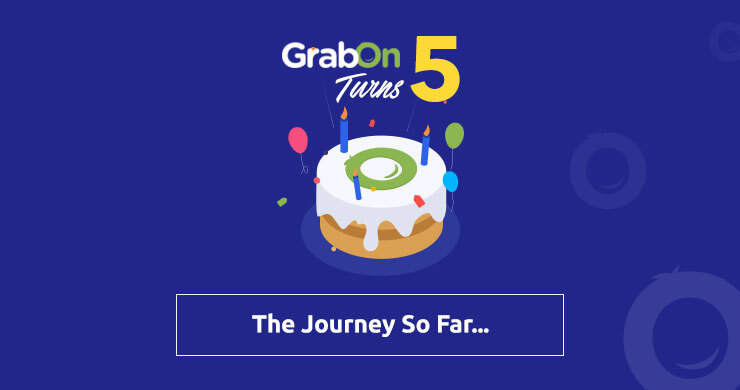 Get the balloons, confetti and cake ready, and call all your friends because GrabOn turns five this year. You read that right. Your favorite destination for the best offers, coupons, deals and gift cards is now legal to party! This journey, however, wasn’t easy, just like any other great journey. GrabOn saw its fair share of ups and downs, with more ups than downs. It all began in 2013, when the company started with a group of five. We’ve scaled great heights since then; we started from scratch and became the market leaders in India’s coupons and deals space. The company traces its humble origins to an ambitious idea by our founder and CEO, Mr. Ashok Reddy. An alumnus of Indian School of Business (ISB), Ashok has more than a decade of experience managing major projects and working with the biggest companies (including Fortune 500) in the world, the likes of Nortel Networks, Infosys, Microsoft, eBay, and PayPal. He is currently managing GrabOn, while pursuing his Executive MBA from Harvard Business School. During his time in the US, Ashok understood the true potential of the coupons space- a multi-million dollar juggernaut. He realized the opportunity that India presented in terms of the coupons & deals market and decided to seize it. Within 2 years of operation, GrabOn became the #1 coupons and deals website in the country. Our aim is to grow into India’s top digital transactions company by 2020. Being the market leaders GrabOn gets over 20 million page views/month and more than 25 million subscribers. Recently, we have also forayed into the Gift Cards space as well. All this as a bootstrap startup (In case you don’t understand the lingo, it means we never took any external funding)! With a reported profit margin of 6.6cr last year, GrabOn comfortably edged out the competition. In fact, GrabOn has steadily reported high profits over the last few years, indicating that it is indeed #1 in the Indian coupon space. Over the course of five years, GrabOn has cracked numerous strategic partnerships contributing to the company’s rapid growth. We have partnered with top players across all verticals from aviation, telecom, banking, entertainment and more. Our esteemed Partners include Spicejet, Trujet, DBS Bank, IndusInd Bank, ICICI Bank, Loylty Rewardz, Hathway, Tata Docomo, Airtel Money, Popxo, Saavn, Sony Entertainment for Indian Idol, Dus Ka Dum, NPCI and UPI, Truecaller, Xiaomi, Paytm, Freecharge, Sodexo among others. In the entertainment industry, we had tie-ups with movie production houses for movies like Bareilly Ki Barfi, Naam Shabana, Underworld: Blood Wars, Firangi, Half Girlfriend. We even ran a campaign with Uber which was known as the “On-Demand Hot Air Balloon: Supported by GrabOn”. In short, GrabOn went on from an idea to India’s #1 in the coupon space. 2013: Bootstrap all the way! GrabOn started with a team of 5 and dreamt of becoming India’s #1 coupons & deals company. Starting from scratch, GrabOn opted for no external funding. GrabOn, along with Google, ran the Great Online Shopping Festival (GOSF), not only helped promote the event but also provided the great offers and discounts. GrabOn launched the industry first ‘Buzz’ feature. This one-of-its-kind feature is an alert system which notifies the user about the latest and the best coupons, deals or offers. It also intimates the user about the most happening current sale events. This real-time savings notification was developed after a detailed analysis of the online market trends and understanding the online shopping patterns of a sample size of GrabOn’s users. Launched the Savings app with ‘Coupon Finder’ and ‘Cab Finder’. ii) Cab Finder – which allows you to find the most affordable cabs from the present cab services. GrabOn brought its seamless coupon browsing experience to mobile phones with the Savings app. 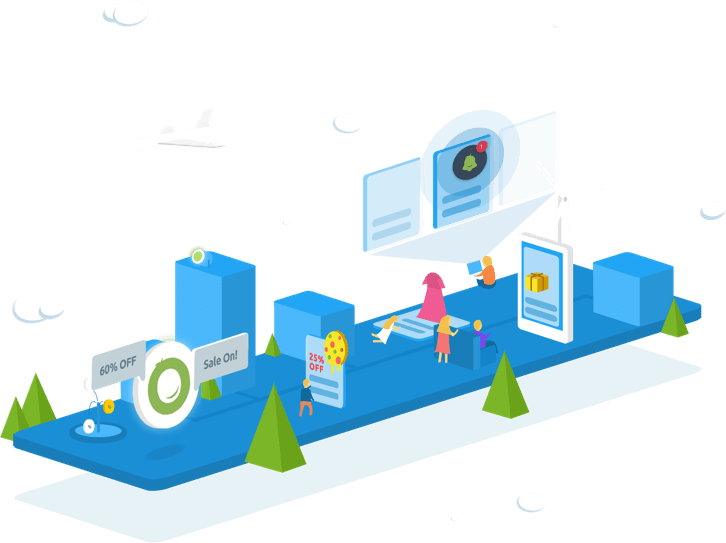 Staying true to the spirit of innovation, GrabOn introduced features like shopping assistant pop-ups, in-category offer suggestion, powerful global search and offered an immersive experience. 2018: Another Year, Another Milestone! Ranked 266th on the list of top 1000 high growth companies in the Asia Pacific region in a study conducted by Financial Times & Statista. GrabOn ventured into Gift Cards space. Be a part of the Fab5 Celebrations and take home smartphone, Bluetooth headphones & speakers, gift cards, exclusive offers & other exciting goodies! Few Quotes For Women’s Day Speech That Make A Mark!